Hey! 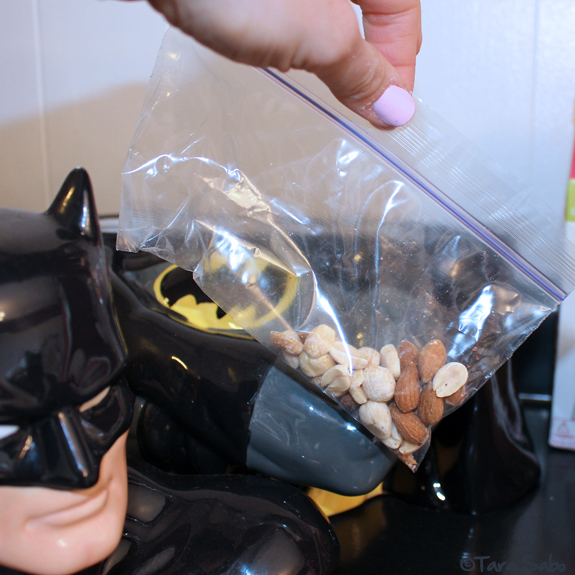 Did you enter my snack bar giveaway yet? 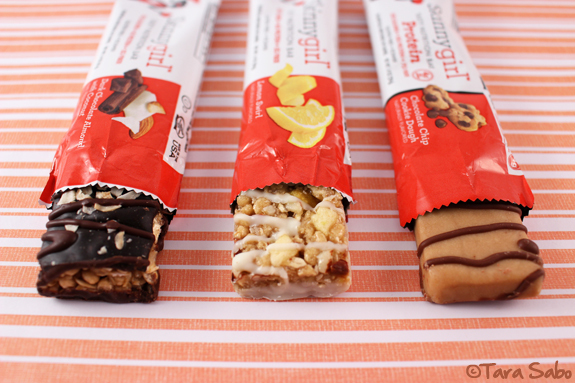 There's still time for you to win a box of tasty nutrition bars from Skinnygirl. 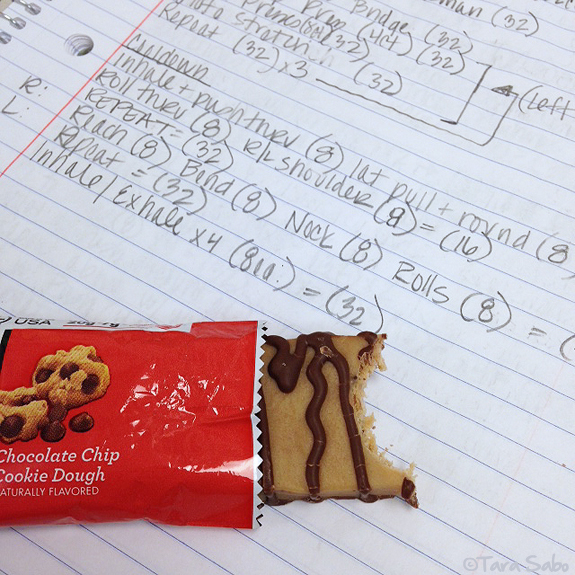 Trust me, they're good. Some of my favorites, actually. I'd put them on today's list of things I'm currently loving, but...they already got a post all to themselves. 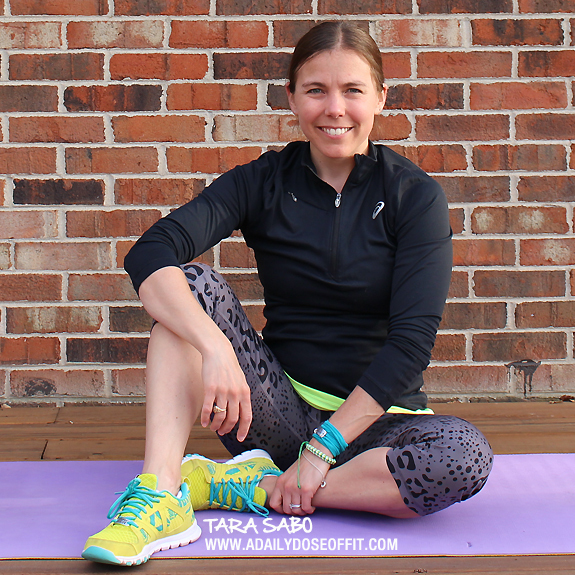 So here are six more things I'm loving right now, including a PiYo Live leg segment that might be a nice addition to your next workout (no equipment necessary). I am officially signed up for a half marathon on Sunday, May 17th. I am so excited. I absolutely love having a race day on the horizon. It totally motivates me on long run Saturdays. I ran ten miles this past weekend at just about a 10-minute/mile pace. A bit slower than I was hoping for, but there were two major hills right in the middle of my adventure. We'll see what happens when I go out this weekend for twelve miles. You guys, my little man is figuring out how to walk. He likes to push his sister's shopping cart. And he definitely figured out how to walk along the couch. I just can't even believe it's almost been a year since he was born. This stage is one of my favorites. Such cute little tumbles as he learns to get around on his own! Oh. Em. Gee. Such cuteness right now. For real. And it was all (still is?) on sale. I bought the two outfits you see above. I have been searching for some, ahem..."booty" shorts that don't ride up. These fit the bill. They're long enough to look tasteful, but short enough to NOT make my legs look like sausages. And you can't see through them when I bend over. Also quite important. And they come in black, too. I could have bought the black pair and about 15 other things, but I exercised (ha!) some serious restraint. We repeat each move four times, then cut it down to two times, then one time each twice through. You might like to do this at the top of your leg workout, or maybe even at the bottom. Either way, I think you'll love it, too. 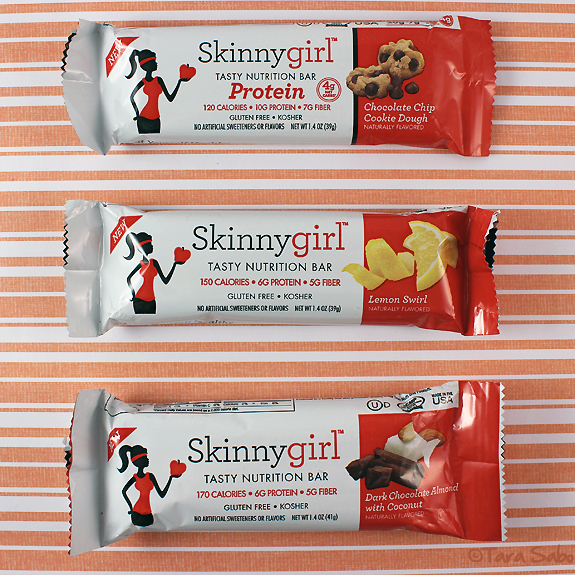 Since we're marking that halfway point in our week, that means it's officially Workout Wednesday. 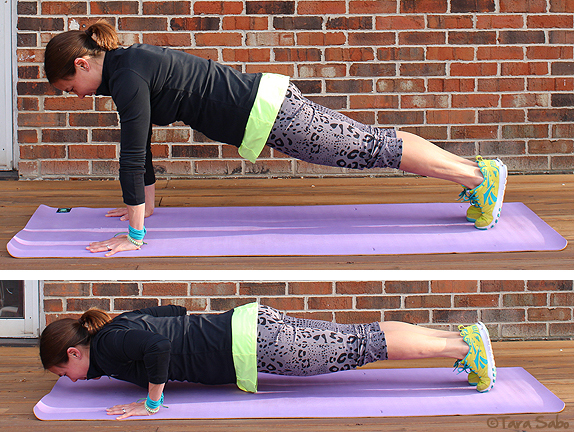 Last week, we focused on the upper body with some of my favorite pushup variations. Today, I'm coming at you with one of the leg exercises we did in class this morning. Although we did them in my Barre Fit class, you can really do them in any style of workout. Literally anywhere since you don't need equipment. Shoes? No shoes? Up to you. I don't wear shoes in my barre class, so I left them off in these pictures. I'll take you through the exercise step-by-step, but first, you know the drill: Listen to your body, modify as needed and check in with your physician if there's any question as to whether or not you should be doing these things. Lift your left knee up until your quad is parallel to the floor. If balance is an issue, you can hold onto a chair, keep your left toes on the ground and/or turn this move into a reverse lunge. Regardless, go back to that high knee at the start of every repetition. We did 15 repetitions in class today. You, of course, can change that to 12, maybe even 10 if that works better. When you hit your last repetition, transition to a flat back. 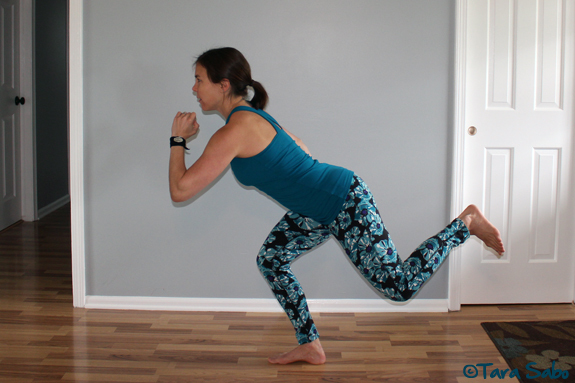 Keep your weight over your right leg while maintaining a soft bend at the knee. Hold on to a chair if you need to, but either way, engage your core to help with balance. Then lift and lower your left leg ten (10) times. At the top your tenth repetition, pulse ten (10) times, then do five (5) more full-range repetitions. You'll want to pull that standing leg up into a stretch when you're done. That's one full set, after which you'll repeat everything while standing on your left leg. We did three sets per leg in class today, but you can adjust that as well. And even though you stretch in between each set, you'll want to make sure you take time at the end of your workout to re-stretch your glutes. 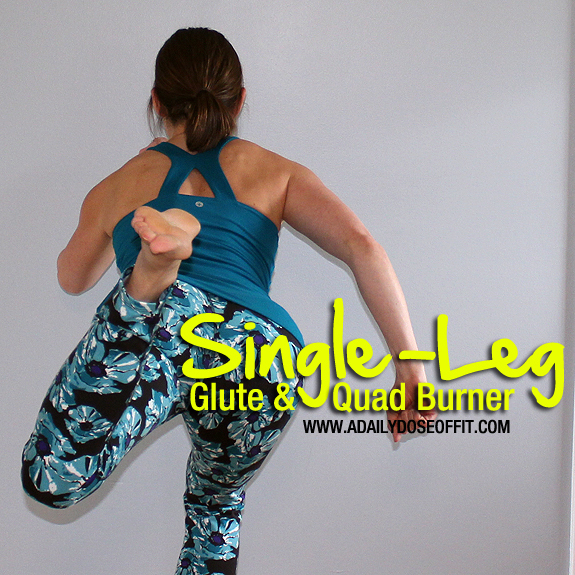 And, of course, your quads (and hamstrings), too. Question: What did your workout look like today? A few months ago, I put Pocket on my iPhone. If you're not familiar with this app, it's essentially a place to save links for later. I use it all the time. Well, for the most part anyway. I currently have 17 links open in Safari. Yes, on my phone. Why I haven't saved said links to Pocket is beyond me. Seriously, my phone is a hot mess right now. It needs to be cleaned and cleared and updated and all that. I don't do it often enough. 1) I made another batch of crockpot yogurt—you're supposed to leave it out overnight, which I did, and then I forgot about it when I left for work. Turns out, it's my best batch yet. It's not exactly "Greek" yogurt, but I'm thinking it'll work in these Greek yogurt recipes. 2) I think I'm going to make my barre class do inverted flyers this week. 3) I got some cold brew from Starbucks the other day and OMG. You know me and my iced coffee. 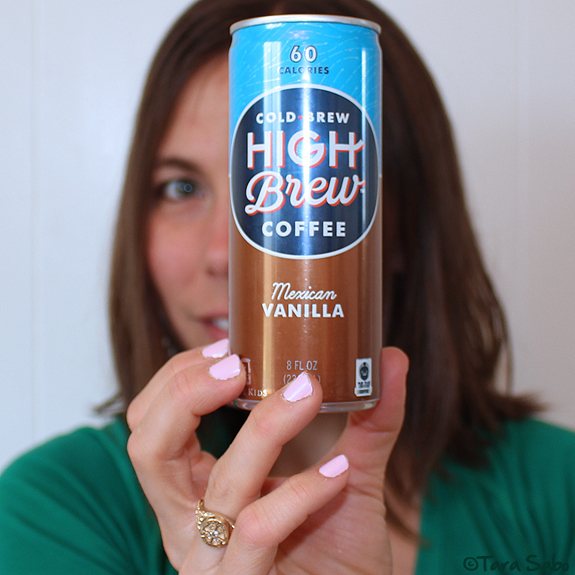 I brew my own at home, but with hot water—however, I just learned how (and why) to make cold-brew coffee. So we'll give it a shot. 4) I miss the smell of sunscreen. I lathered it on pretty good in Mexico. Do we think homemade sunscreen is just as good? So curious. 5) Hannah is pretty curious about running. She sneaks out onto the track at my gym whenever she gets the opportunity and runs her little heart out. She calls herself a runner girl, so maybe I should get her a runner girl doll. 6) Life with three year old. Man, oh man. I fear these 10 things. 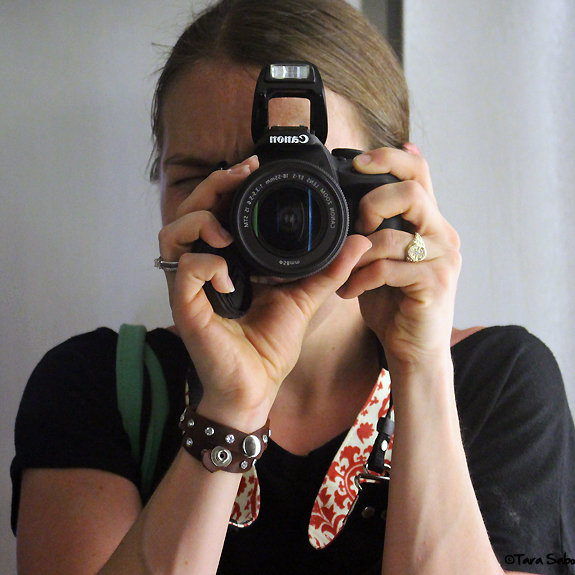 7) I am woman, and I am 34. Yes, there is something to be said about running in your thirties. 8) I've had a mad craving for some chocolate chip cookies. I might just have to make this chocolate chip oatmeal cookie smoothie instead. Question: Is there a yoga post that you are currently working on? 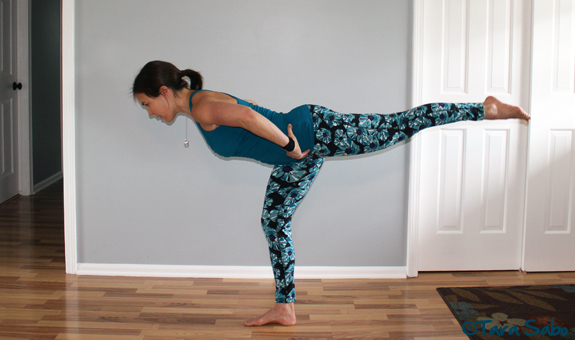 Can you do one-legged arm balance? Any tips? 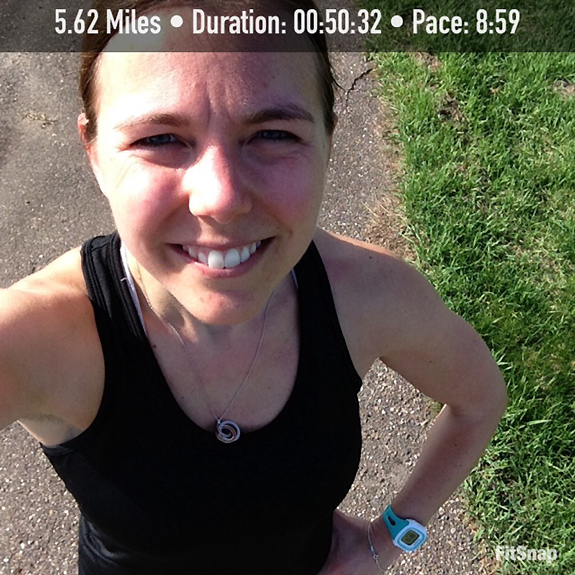 On giving up running goals (and when it's a good idea). At the beginning of the year, I made a list of potential races that I wanted to run, one of which was a 25K on May 9th. I had my reservations—could I train through the winter, running a bulk of my miles on a treadmill? Turns out, that wasn't really an issue. Being sick was (it was a rough Winter in my house). I really wanted to run the 25K because it would be the furthest distance I had ever traveled in my running shoes. I knew I could do it. I knew it would be hard, but I ultimately knew I could do it (despite my reservations). But, I can't. I'm giving up my 25K goal and I am 100% OK with that decision. Sometimes you have to step back and reassess. You have to be honest with yourself and proceed appropriately. My training was going really well, but then I got sick: I trained well through a 9-mile run, then everything got derailed by a congested chest and I couldn't run for an entire week. 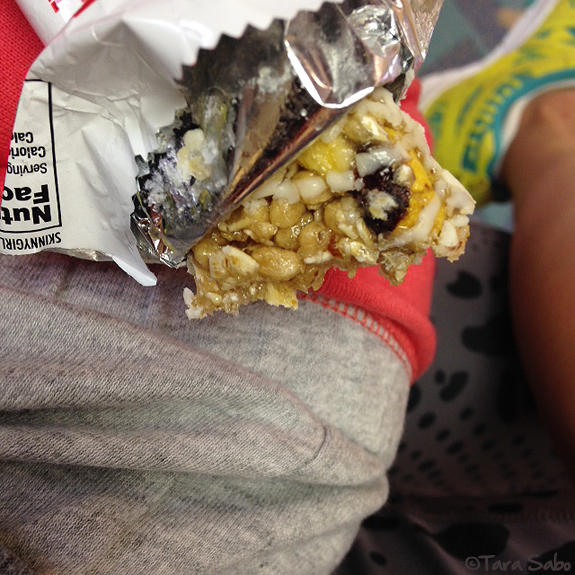 And then I went on vacation—I ran twice on vacation, but according to my training plan, that wasn't enough. It wasn't the two 5-milers and a 10-miler that I had on tap. Two weeks off schedule so close to my target race date? Nope. No can do. Giving up on a goal makes perfect sense if charging toward it puts you at risk for injury. I would have been grossly unprepared for a 15-mile run on May 9th. A month out from race day, my weekend long run had only accumulated to nine miles. My short runs were still happening regularly and on schedule (except for those sick/vacation weeks), but I needed more time to increase my weekend long runs. I needed more miles. Because attempting a distance race on anything less than a perfect training plan isn't something I'm willing to do. I literally cannot afford to get hurt. Giving up on a goal makes perfect sense if you tried your hardest to achieve it. I couldn't really control the fact that we call got sick. And a vacation in Mexico is meant to be enjoyed. That said, I stuck to the plan as diligently as I could. So I can give up this goal knowing that I gave it my best go. Giving up on a goal makes perfect sense if another goal makes even more sense. There's an inaugural half marathon in the beach town just south of me on May 17th. It's got a fairly flat out-and-back course right along the shores of Lake Michigan. Easy access to the start line, super affordable. With an extra week to train, I should have plenty of time to make it happen. I adjusted my training schedule and was up for another 9-miler today, but had to teach Spinning. So I spent 60 minutes on the bike, then headed out for a 60-minute run. Giving up on a goal makes sense if you're only giving up on it for the time being. I have no desire to run a full marathon, but going just beyond that half marathon mark is something I really want to do, so we'll see. Someday I will run a 25K. Seriously, though. I never want to run a marathon. Like, ever. And now, I rest until Monday morning when I hit the gym for a 5-miler. ...and I'm currently debating whether I should fold the laundry that's staring me down, or curl up with a book. 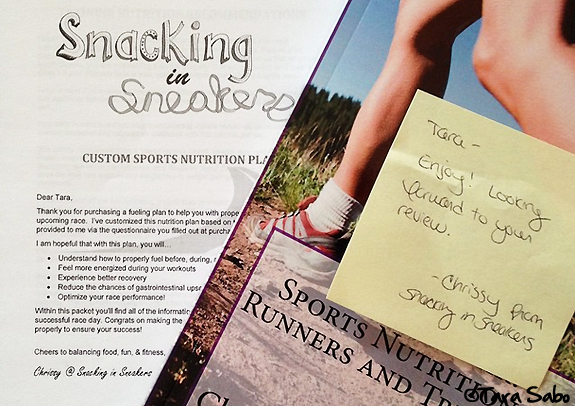 Chrissy from Snacking in Sneakers sent me a custom sports nutrition plan and a copy of her book to review, and I've been dying to dive in. Question: What is your dream race or fitness event? I love pushups. I think they're one of the most efficient and effective exercises out there. 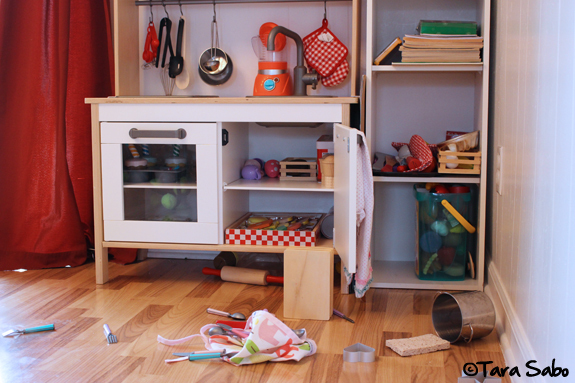 And there are so many ways to switch up and/or modify them to meet your needs. 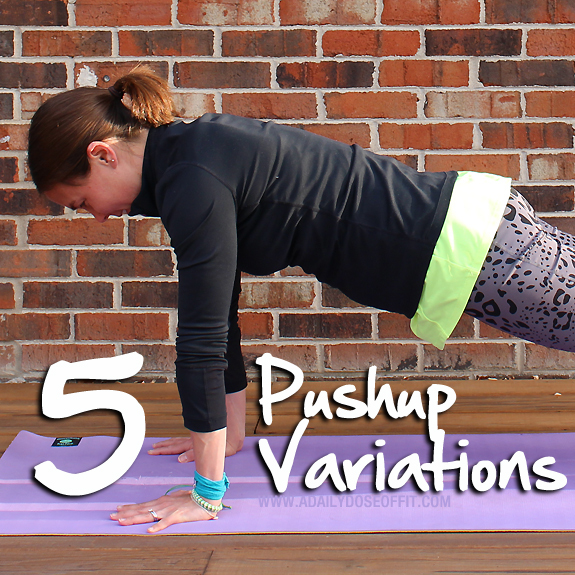 So today, since it's Workout Wednesday, I thought it would be fun to share a few of my favorite pushup variations. Friendly reminder: While it's true that pushups target the upper body, specifically the chest and arms, you should always be mindful of the rest of your body. For example, what is your core doing? Are your hips where they need to be? Is your spine lined up? Ask yourself these questions. And finally, you should always address your individual needs. Consult with your physician before trying anything new, especially if you have upper body issues like, for example, a shoulder injury. 1) They target your triceps muscles somethin' fierce. 2) They offer the knee modification, which lets you crank more with good form. Never hesitate to modify to your needs if need be. Proper form is essential. And speaking of form, in a triceps pushup, you want your hands right underneath your shoulders and your elbows tucked in. Literally skim your ribs as you move down and up—that's how you activate your triceps. I always tell my students and my clients that their hips should be in line with their shoulders and their ankles. And that they should spread their fingers apart as wide as possible to create a nice, solid base from which you can push. This is especially important when you're doing a pushup to side plank. Keep these pushups as fluid as you can, using the core to maintain balance and changing sides after each pushup. 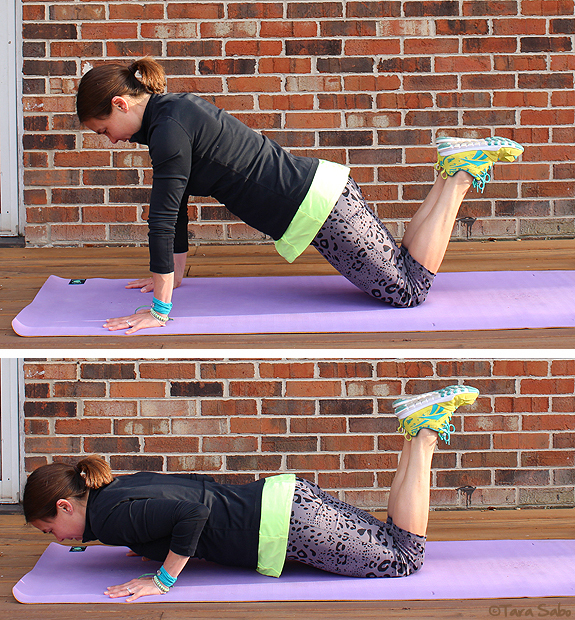 Your core is always working in a standard pushup, but adding the side plank gets you a two-for-one deal. This is also true when you do a pushup with a hop. 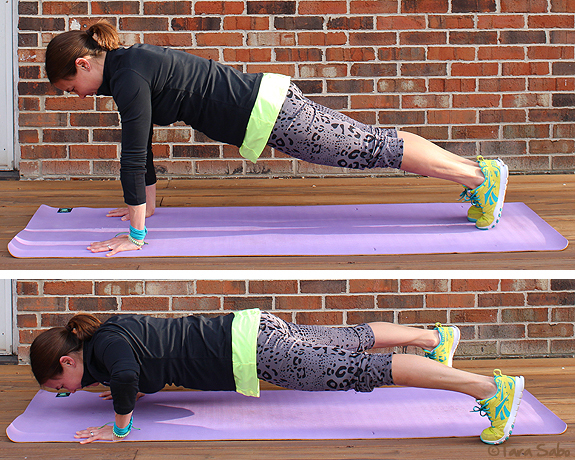 As you sink down into your pushup, try simultaneously hopping your feet out. And then, of course, you'll hop them back in as you return to your starting position. The two-for-one with this variation is that your heart rate will increase. 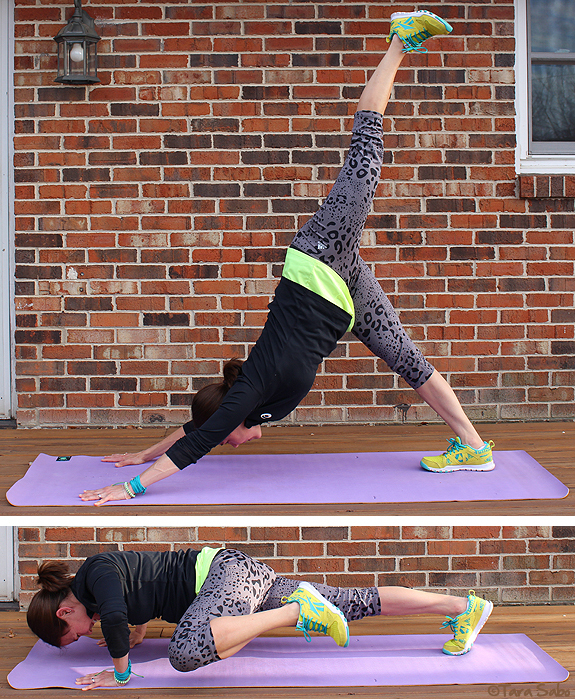 Try a downward dog split with a Spiderman pushup. 1) Do half of your set with the right leg, then switch legs. 2) Do your first set with the right leg, then your second set with the left leg. To make it even harder, try pulling your knee underneath to the opposite elbow. Or, take a full core approach and remove the pushup entirely, coming out to a straight arm plank with the knee pull. Variety is the spice of life, my friends. And pushup variations sure do make me happy! Whenever I go on vacation, I think of that song by the GoGo's. I was obsessed with the GoGo's when I was little. 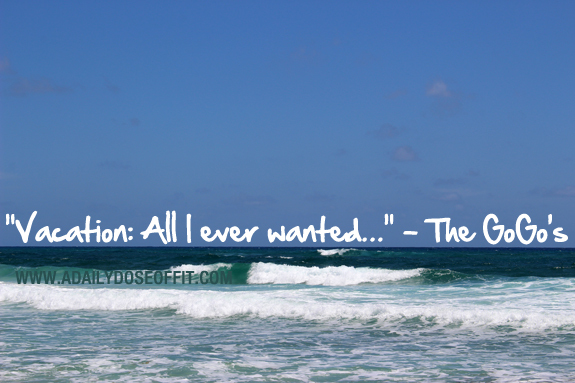 "Vacation: All I ever wanted. Vacation: Had to get away..."
Last weekend, we left a cold Michigan and headed to a much warmer Mexico. 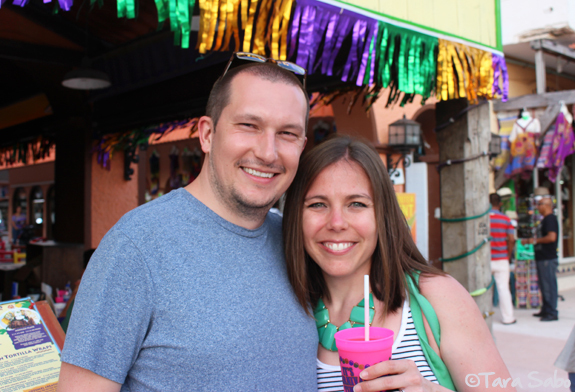 Cozumel was just what my little family needed after a week of being sick (again). Bake the bad germs away? Yes, please. 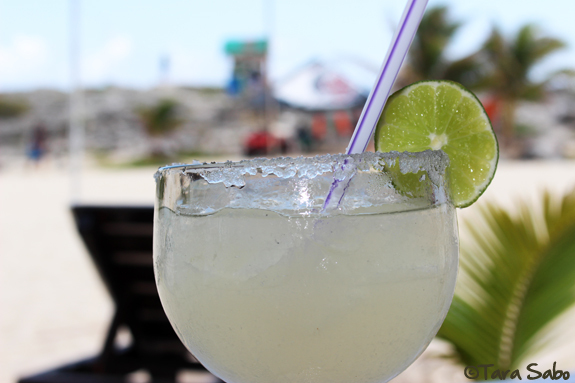 Medicate with a few margaritas? I'm not that much of a drinker these days, but when in Mexico. Amiright? Don't judge me. I had some non-alcoholic drinks, too. 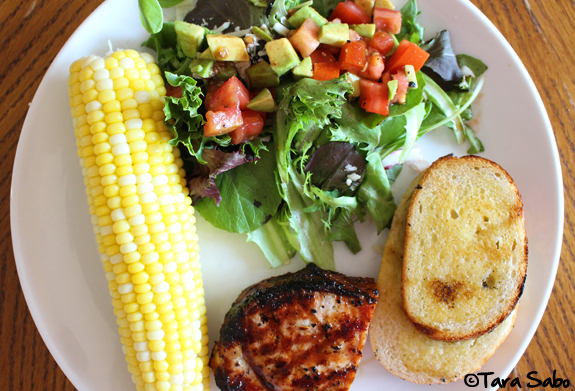 A vacation recap can't ever be complete, though, without mention of good eats. Because we certainly ate good all week. 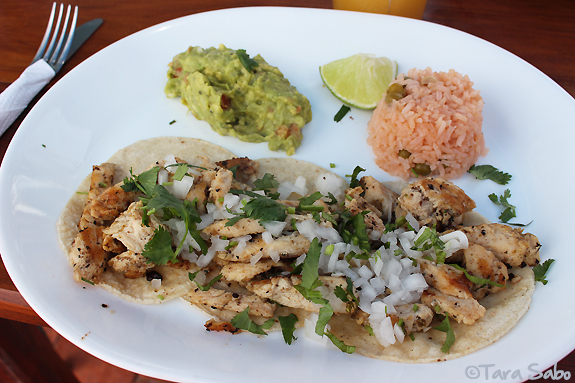 I don't know about you, but I'm a huge fan of Mexican food. Particularly tacos and guacamole. I'm certain I ate my weight in guac, and I know for sure I had tacos pretty much every day. Look at all that cilantro! I don't even like cilantro. Unless it's on my tacos in Mexico. Then I make an exception. I also make an exception when it comes to working out on vacation. I ran twice. Each a four mile adventure. So be it. That's what vacation is for: Rest and relaxation. 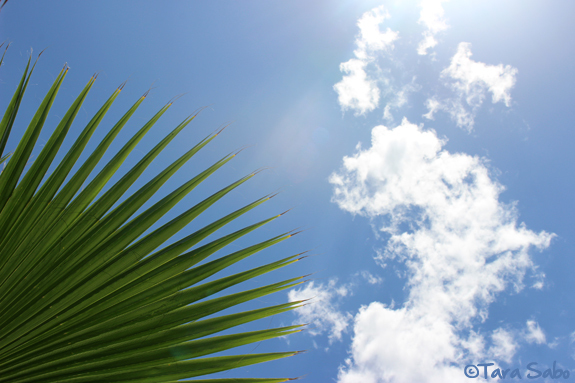 And if you go somewhere warm, vacations are also for sunny skies and palm trees. Unless you're a blogger with a camera. Oh, and this was our second time in Cozumel. You can check out some pics from our first trip HERE. Back to reality, though. I'm literally typing this as I sit completely surrounded by suitcases and dirty laundry. It's been a day of getting back into the swing of things. Napping kiddos in the afternoon. 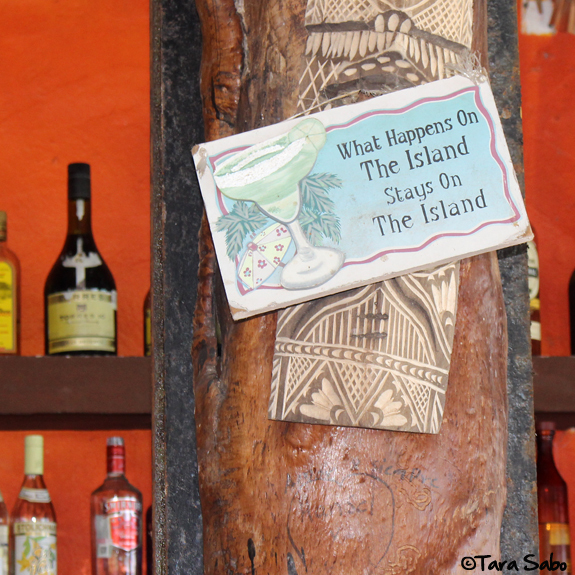 Question: What's your favorite thing to do on vacation no matter where you go? 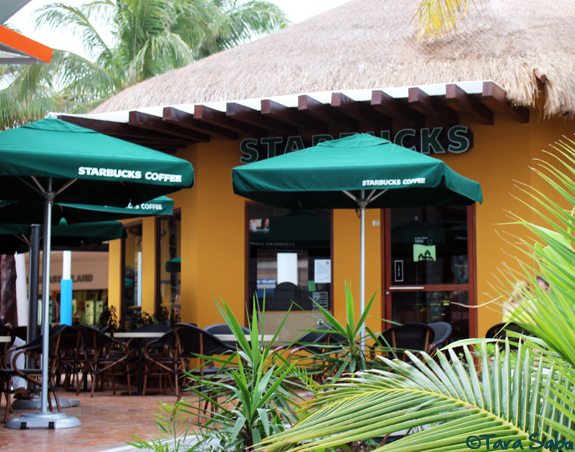 And if you've been to Cozumel, what pops out as a favorite? Running is an educational adventure. It teaches you things. Not just how to go fast and increase miles, but actual life things. It takes you deep within yourself and changes you, it really does. Today, I thought we'd talk about three things running can teach you, although I'm certain there are more. 1) Running teaches you discipline. It doesn't matter what your goal is. It could be "run to that mailbox" or "complete a marathon." A running goal is a running goal, and it takes discipline to get there. And when you do, you cross a finish line that you won't soon forget. And every time you're faced with a challenge, you can recall that finish line and (consequently) the determination and strength you put forth to get there. You dug deep, you did it. And you can do it again if you channel some discipline. You can do anything with a little discipline, actually. 2) Running teaches you that independence takes you places. With the exception of relay racing, running is generally considered to be a solo sport. And whether or not you're an athlete on a team, if you go running, you can go it alone. You can handle the trials and relish the triumphs all by yourself. That sounds depressing? Well, it shouldn't. Running teaches you that life is a journey meant to be shared, but in those moments where we feel alone, we CAN rise above on our own. 3) Running teaches you that you are enough. See note above about independence, and make note of this: That you have the power within to rise above, to put one foot in front of the other in search of the end result. A little help along the way never hurt a runner, but it's ultimately the individual that walks across that finish line. In life lesson speak, that just means you can believe in yourself. You can believe that you are enough, no matter how fast, slow, tall, short, strong or weak you think you are. You are you, and you do you, which makes life...your life...incredibly awesome. 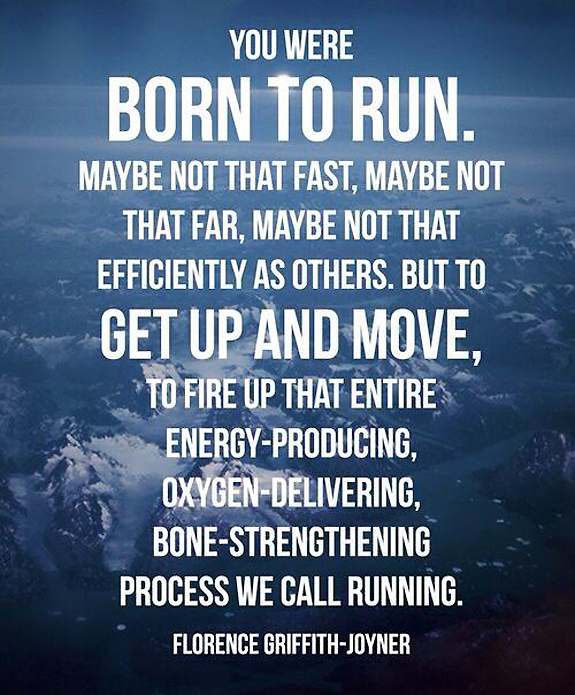 Question: What have you learned from running? How are the workouts going this week? Are you putting in the time? 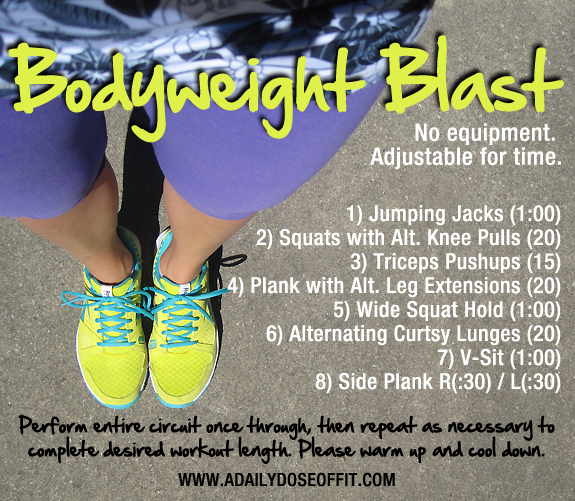 If you need some motivation, I'm coming atcha with a bodyweight workout that doesn't require any equipment whatsoever. Well, unless you count a stopwatch, but everyone has some sort of stopwatch, right? So here's the deal, do the following once through (after the warm up of your choice). Repeat as necessary to create the workout length of your choice. Try to limit the time between each exercise to that which is only necessary. In other words, keep it goin' as best you can. And remember, it's always wise to check with your doctor before you try anything new. I might be an ACE-certified personal trainer, but you and I have not had a discussion about your fitness needs, so I can't be sure this is right for you. Proceed accordingly. Squats with Alternating Knee Pulls: Keep your feet hip-width apart in this squat. As you come up, lift a knee up toward the chest before squatting and repeating. Hello, core. Plank with Alternating Leg Extensions: As you hold a plank position, lift your right leg up a few inches to activate your glutes. 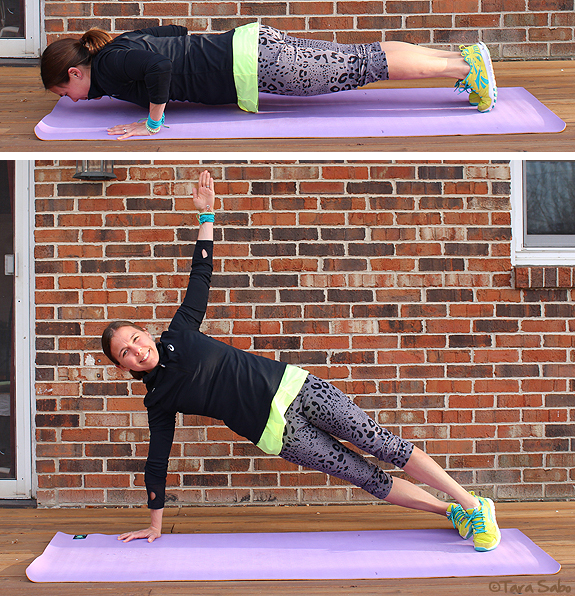 Return to plank position and repeat with your left leg to complete your second repetition. Don't forget to stretch when you're done with this and any other workout you do! Question: What kind of workouts would you like to see featured on Workout Wednesday. Suggestion box open! Saturdays are for easy mornings and cups of coffee. So let's pretend we're enjoying one together right this minute. Iced for me, please. 1) ...I have a very mobile little boy. 2) ...Every little girl should own Disney Princess Magiclip toys. A few weeks ago, we emptied Hannah's bunny bank and took her to "the biggest toy store in the world." Translation: Toys R' Us. 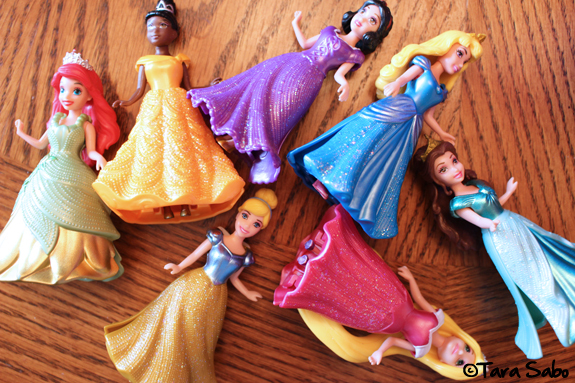 We let her pick out anything she wanted, and she landed on this pack of princesses. Their dresses literally clip on, and you can "make changes" (as she says) between the princesses. I thought for sure she'd line them up and forget about them, but I kid you not, the girl has been playing with them non-stop. Like, NON-STOP. For hours on end every single day, she sits with them and changes their dresses, makes up voices and stories for them, talks about them...such independent and creative play, I can't even believe it. Little does she know, the Easter Bunny is bringing her Anna and Elsa Magiclip dolls. She's gonna freak. 3) ...I'm so tired of being sick. 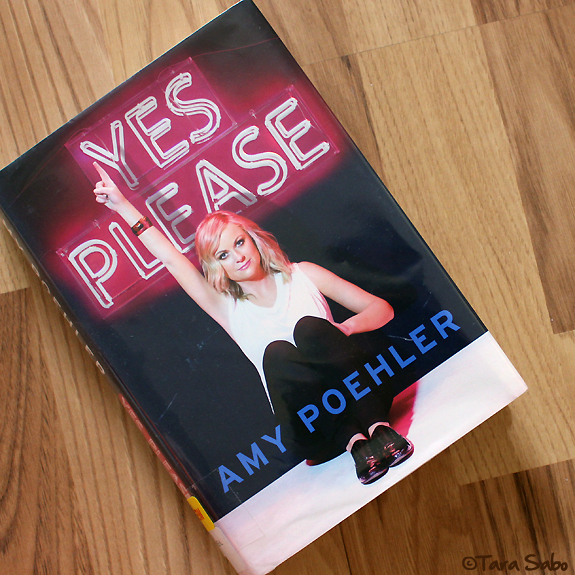 4) ...You should read Amy Poehler's book. I was always a Tina Fey fan, and I still am, but now I really love Amy Poehler, too. Her book is hilarious. Seriously hilarious. If you can get your hands on a copy from the library, you should totally read it. She's quite frank about things like marriage and dreams and body image in a totally refreshing way. She also gives great SNL details throughout, if you're a fan of that show. 5) ...I'm seriously doubting my ability to run a Spring 25K. See #3 above. I didn't run at all this week. I've got a ten-miler on tap for today that I doubt is going to happen. I might actually hack up a lung if I go that distance. At this point, I'd be happy with one or two decent, leg-shakeout miles. We'll see. Needless to say, the training has been off, and I'm worried. Still got some coffee left? Me, too. 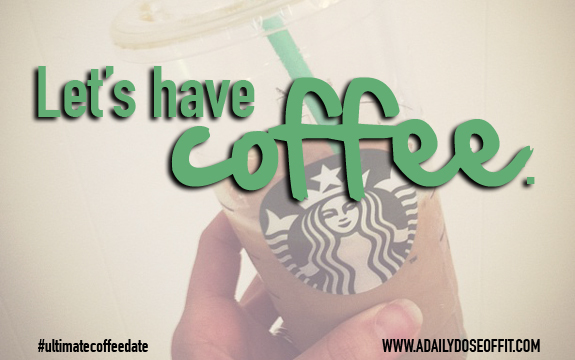 Head on over to Lynda's blog and see what everyone else is discussing on this fine #ultimatecoffeedate morning. Question: What would you tell me if we were having coffee right now? 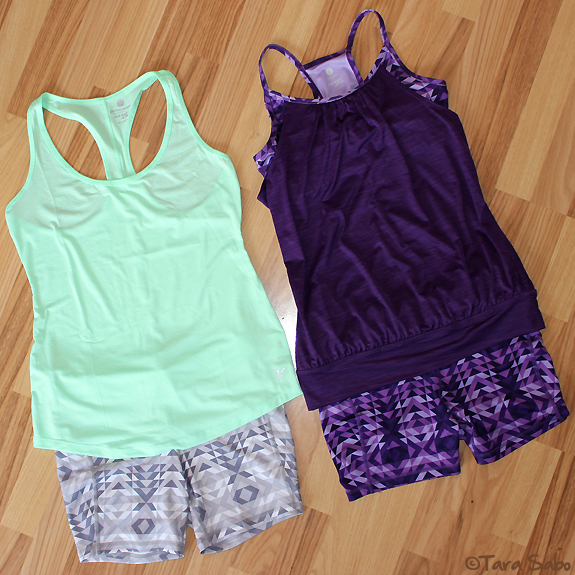 I few weeks ago, I was rummaging through my drawer of fitness clothes when I felt the urge to get something new. Let me be honest: This happens every day because I'm obsessed. And I wear fitness clothing to work. But here's the thing, I wanted something different. A new brand, perhaps. Something that not every person in my small town already has. I love me some Target and Kohl's...LOVE ME SOME...but it's nice to get goods from somewhere else on occasion. 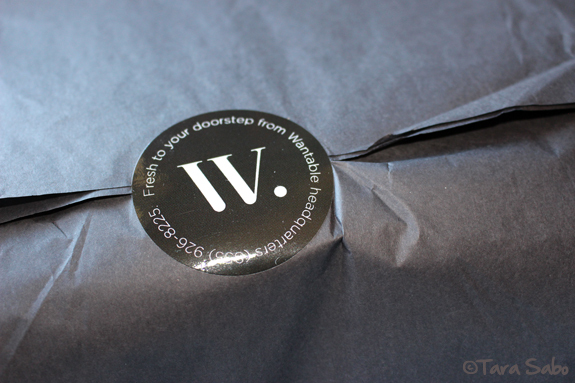 So I reached out to the people behind Wantable. I've been seeing a few fitness edit reviews on some of my favorite fitness blogs, and I wanted to know if the service was all that and a bag of socks. Service? Yeah, it's one of those monthly box deals. I've had good luck and back luck with these things, mostly because I'm protective of my money. (As we all are, right?) So grateful they were willing to send me a box free of charge. 1) You fill out a questionnaire. 3) They send you five items. 4) You pick what you want. 5) You send back what you don't. 6) They charge you for what you keep. I should clarify really quickly, they subtract the styling fee from the sum of what you keep. If you don't keep anything, you're out $20. I don't really like this aspect of the service, but I understand that they're a business and the act of picking out a box just for me is a service that should be paid for. 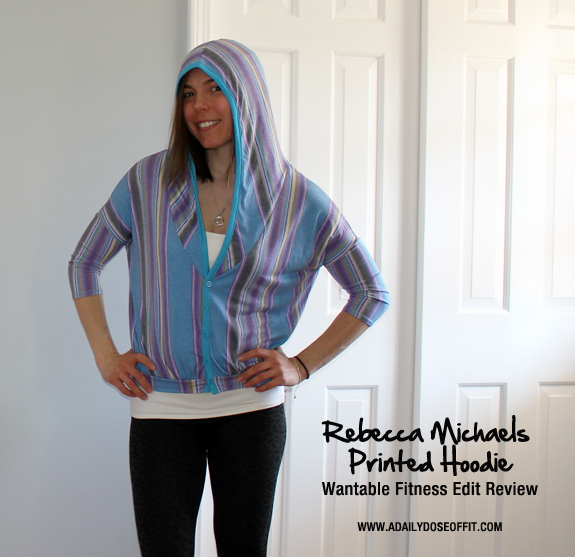 This, of course, is one of the reasons I wanted to try a Wanted fitness edit—because I would get a box of hand-picked fitness gear tailored to my individual likes and dislikes and sizes. And even price preferences. 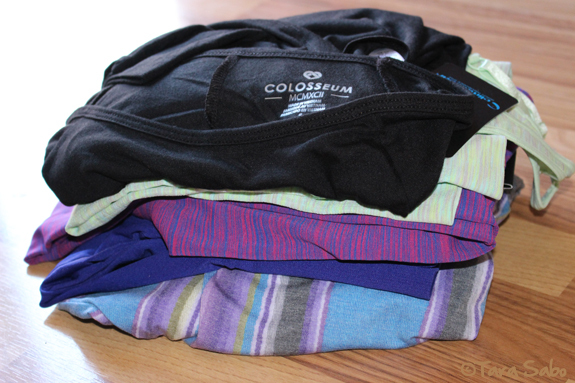 When you wear fitness clothing as much as I do, and when you have two kids that make it really hard to shop sometimes, and when you live in a town with two stores where everyone shops—unique gear that you don't have to shop for yourself seems really flippin' appealing. I was a little disappointed when I first opened the box. They "did not have any prints in my preferences," which I was really looking forward to. And the pants they sent me where in colors that I already had in my drawer. So, my attempt at getting some variety in my fitness clothing collection was already off to a bad start. 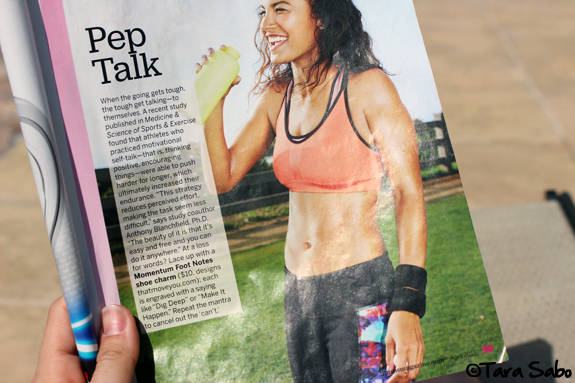 But I dove in anyway with an open mind because #fitnessfashion. Here's what they sent me, in no particular order. I really liked the idea of this top, but hated the way it fit me. Realistically, I think a bigger size would have fit me better. It was too short in front, and ultimately too fitted for a shirt that needed to be loose. Can you see the draping in the back? So cute. Price: $38 / Verdict: Sent back. Good color scheme, bad stripes (and I love me some stripes). 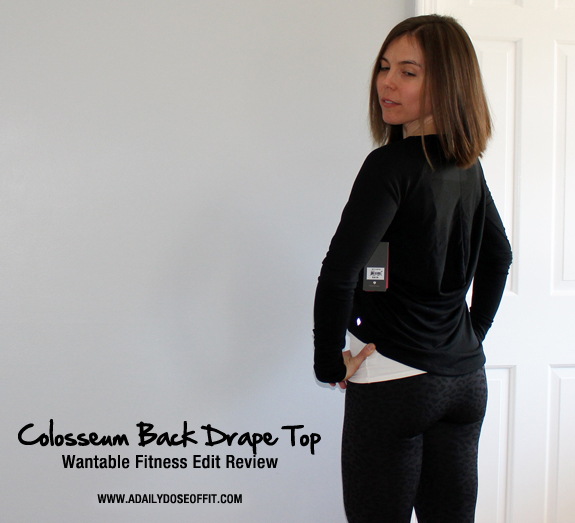 The material was so soft, and I loved the slouchy fit...but again, too short. Price: $49 / Verdict: Sent back. 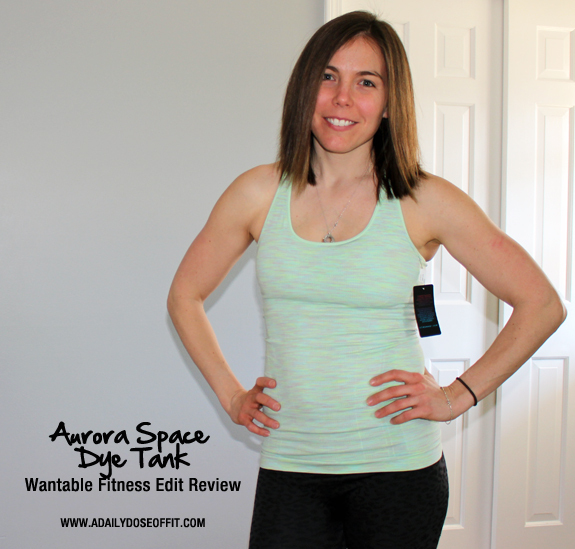 I'm desperately channeling Spring bright now, and the colors in this tank make that even more possible. It's incredibly comfortable, and matches a pair of grey leggings that I already have. My only problem is the price tag. It's a bit steep for me, but certainly not the most expensive top I've ever wanted. Price: $39 / Verdict: In my drawer. The colors in these leggings rock my socks off, but like I said, I already have a ton of pink and blue. Also, they're incredibly long which had me wondering if they were also over-the-heel leggings. You couldn't see through them, either. Which is always a major winner in my book. Price: $49 / Verdict: Sent back. These are the same brand as the longer leggings. They fit extremely well, and the color is on point. But the same as another pair that I already have in my drawer. Price: $40 / Verdict: Sent back. So, there you have it. I kept one thing. If I had kept three or four items, I would have gotten a 20% discount. If I had kept everything, I would have gotten a 30% discount. 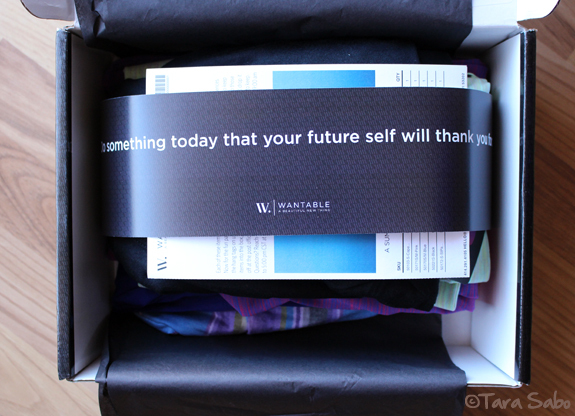 When the box arrives at your house, you have five days to try everything on. If you don't send your stuff back on time (using the prepaid label), they obviously charge you under the assumption that you're keeping everything. 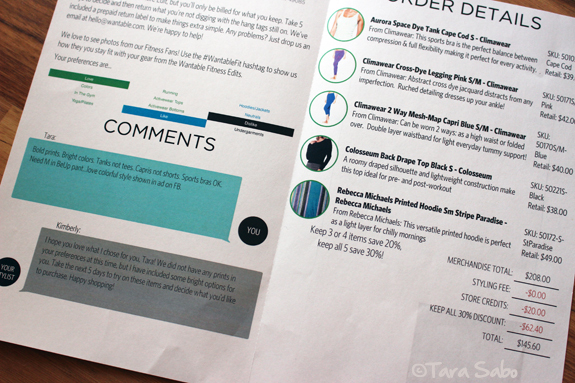 But when you do send back what you don't want, you get the opportunity to provide feedback that ultimately helps your stylist nail you next shipment. If you don't want another shipment, it's easy to stop the service. 1) I got to shop without leaving my house. 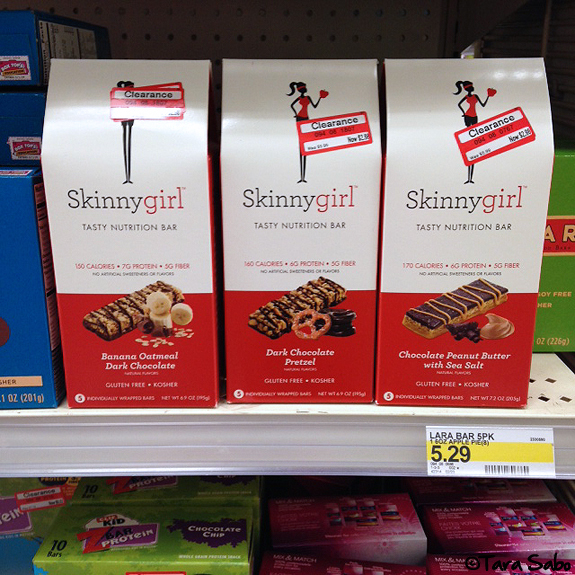 2) I got to try some new-to-me brands. 3) They did their best to stick to my requests. 4) I got the opportunity to provide feedback. 5) They apply my styling fee to my order. Ultimately, I decided not to renew the service. It's not about the money. The price of each item was decent, although more expensive than anything I'd normally find at Target, Kohl's or even TJ Maxx (which are my favorite spots to shop). I'm willing to spend more on a good piece of fitness clothing because I know I'll get my money's worth. But here's the thing: I want to be my own personal shopper. I know what I have, I know what I need, and I know what I want. And when it boils down to it, I frickin' love shopping. Would I recommend a Wantable fitness edit? 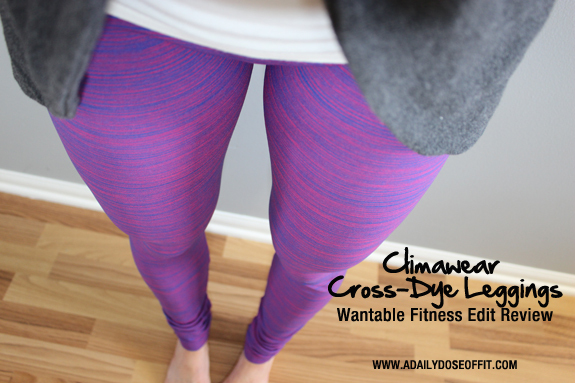 If you're stuck in a fitness clothing rut and want something new, then do it. It was fun to get the box, despite my initial disappointment. 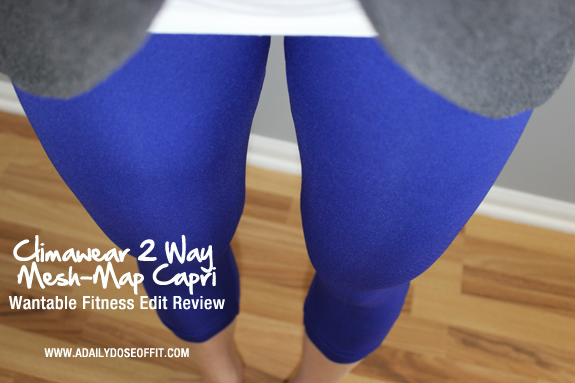 If you live far from any decent shopping and need a ton of fitness clothing, then do it. If you're obsessed with fitness clothing, then do it. But if you're picky or living on a tight budget, this service might not be for you. Because even though you can pick your price points, you always run the risk of not liking anything and losing out on that $20 styling fee. Question: How do you feel about subscription clothing services? Do you subscribe to any? If so, which ones and why?